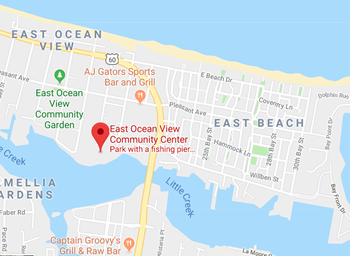 This month we have a clean-up day scheduled at the East Ocean View Recreation Center on Saturday April 21st at 10:00am. We'll have gloves and bags available for everyone. Please consider taking an hour of your morning and join us at the EOV Recreation Center. Contact the Wireline Editor if you plan on attending. Take S. Indepedence Blvd. and Shore Drive to Pleasant Ave. in Norfolk. Continue on Pleasant Ave. to 20th Bay St.
Mike Avery's handout on Deep Dropping! 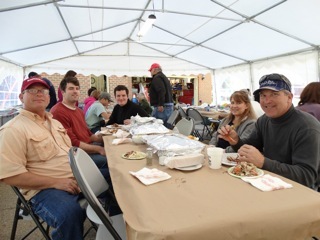 THANK YOU to all our members who helped out at the 2019 Mid-Atlantic Boat Show. The club again made a great showing because of your support and enthusiasm. 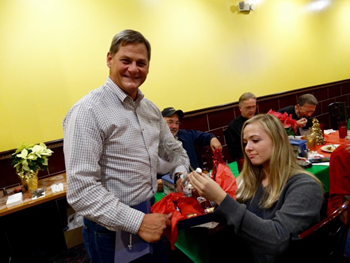 Mike Hubert, Greg Rogers, Wendy & Will Bransom, Ned Smith, Kelly Hoggard, Brian Tsai, Mike Davis, Gary Waddell, Paul Haris, James & Kathy Eisenhower, Bert & Sandy Sainz, Alex Perez, Tom Hubert, Pam Semones, Ben Capps, Mike Griffith, George Grinnan, and Stan Gold. 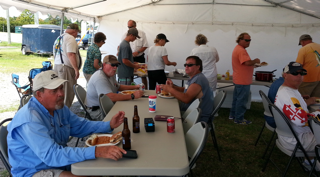 Norfolk Anglers Club held their 6th Annual East Ocean View Recreation Center Head Boat Trip with Captain Ronnie Boone Jr.’s Head Boat the Judith Anne on August 13. 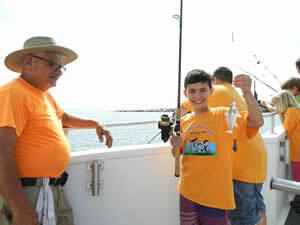 We had 17 NAC member’s providing the assistance with all the children fishing on this trip. 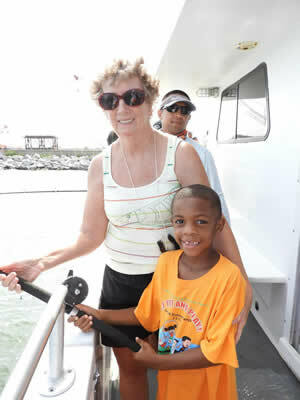 The day started at 8 AM with all members present to assist the kids and adults onto the boat at the Ocean View Fishing Center off of Pretty Lake Avenue. 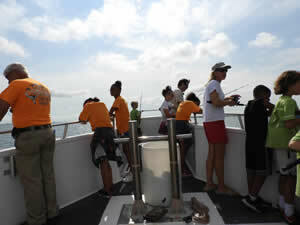 We had 50 children and approximate 4 adults from the Rec Center as guests for this outing. 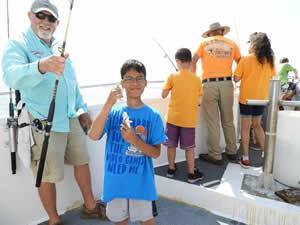 Many of the children had fished with us on previous trips and it was great to see how much they have grown over the years and how enthusiastic they were to go fishing with us. The weather, though threatening in the forecast, turned out to be beautiful and hot. 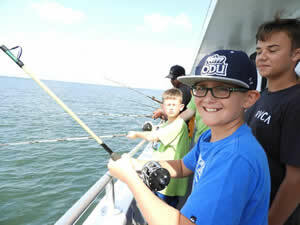 Capt Boone got us started fishing near the First Island of the Chesapeake Bay Bridge Tunnel and the kids did a fine job of catching as many as were available. 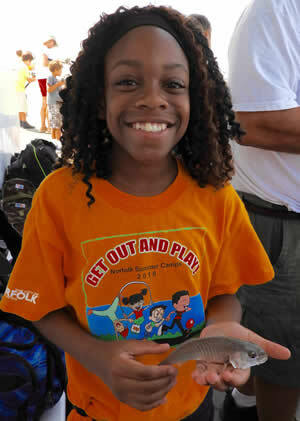 They really got a kick out of catching croaker, spot, black sea bass one flounder and even several small sharks. NAC members on board untangled lines that frequently got entangled. Baited hooks, taught the kids how to control their lines and reels to prevent backlashing as well as untangling bird nests created by the kids as they fished. 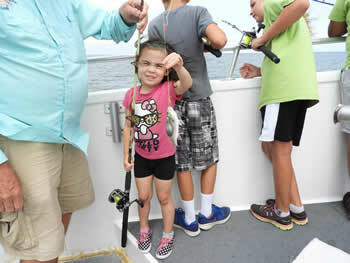 Several anglers actually fished and then let the kids bring in the fish that the angler’s hooked. 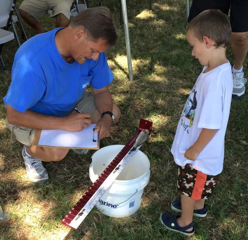 NAC members frequently instructed the kids about the Virginia Junior Angler Awards Program of the Virginia Saltwater Tournament. 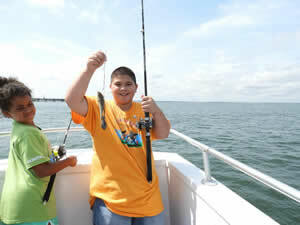 Several of them were able to apply their catch to the awards program. 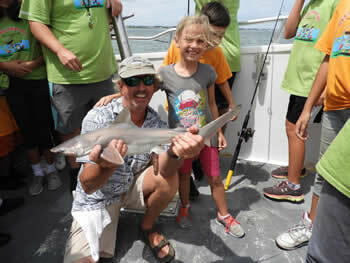 The wind and fast current did present some trouble with a fast drift most of the trip but didn’t prevent most of the kids from catching plenty of fish. Over all, it was a great trip and everyone seemed to really enjoy themselves. 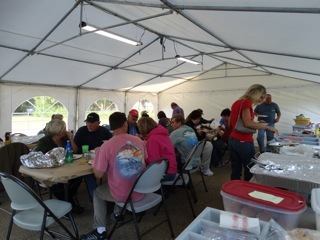 After the Head Boat Trip, we headed to the East Ocean View Recreation Center for a picnic lunch of hamburgers, hotdogs, baked beans, potato salad, mac and cheese and watermelon which everyone thoroughly enjoyed. 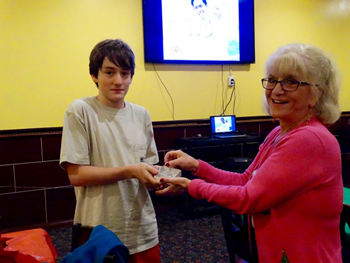 Ed and Karen Schrader of Sea Tow even provided Frisbee’s for each of the kids which made excellent plate holders. Members who assisted with the fishing were: myself, Mike Hubert, Greg Rogers, Mary Troutner, Marvin Chivers, Ben Capps, Rich Lewis, EJ O’Brian, John Talha and his daughter Jolie, Russell Willoughby, Beth Synowiec, Paul Harris, Dennie Dobbins of Portsmouth Anglers Club, Alex and AJ Perez and Wendy Branson as photographer. 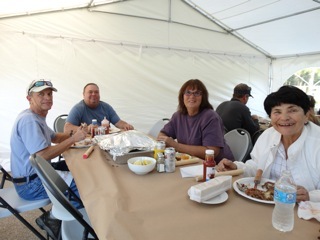 Helping with the cooking and serving of the food at the picnic were Will Bransom, Karen Schrader, Jerry Hughes, Michel and Ned Smith, Kathy Eisenhower and Mike Mancini. If I missed someone who helped I’m sorry this is everyone I had listed. 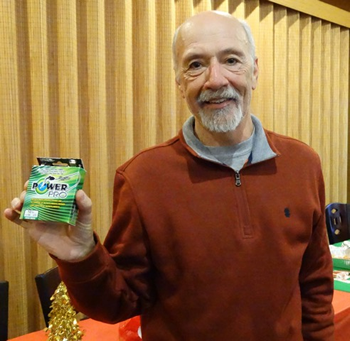 We had a great time at the GBFA 9th Annual Fishing Flea Market on 9 March 2018! 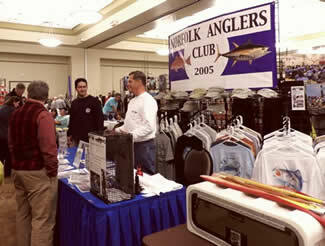 We met a lot of nice folks, it was a very busy event! 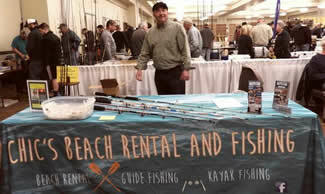 We sold 14 Fishing Tips Books; we had someone come by stating they bought one at the Boat Show and they loved it! 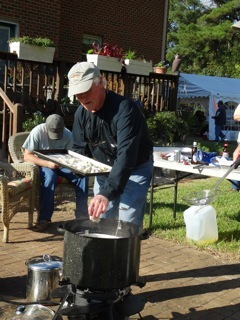 Henry was successfull again seliing Cobia Raffle Tickets, we sold 100! We also have on new Member join the Club,Welcome Latryce!! 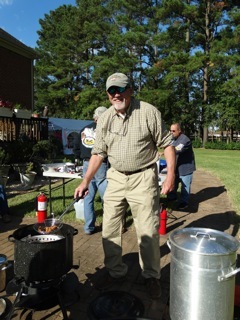 We also sold 5 of our Hats; a lot of folks were impressed by them! 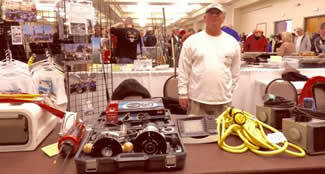 Mike Hubert and Mike Griffith were also present selling and meeting everyone. 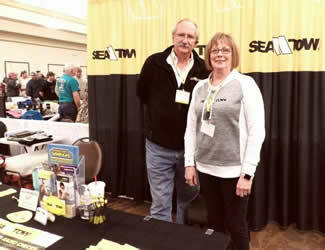 Of course it wouldn't have been a great event without Sea Tow Hampton Roads, Ed and Karen Schrader were very busy with new customers! 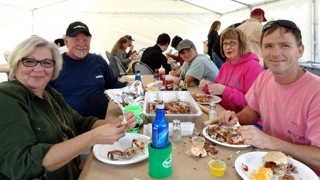 The Norfolk Anglers Club had a great time at their Annual Fall Picnic. 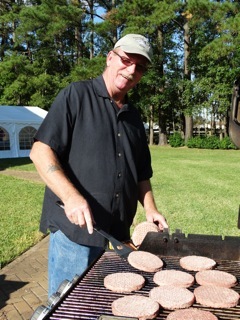 Special thanks to Will and Wendy for hosting and to all who helped set up and take down the event. 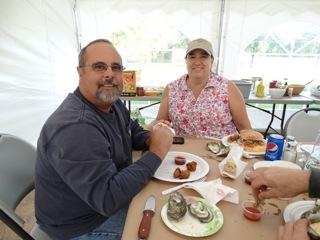 Our cooks below kept busy making all the fixings consisting of Oysters, Blue Crab, Pork BBQ, Hamburger and Smoked Sausage. 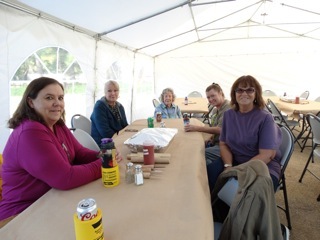 Many of the NAC ladies brought delicious side dishes of cole slaw, pasta salad, mac n' cheese, salad and home made rolls. We also had very tasty deserts of pumpkin pie, chocolate cake, snicker doodle cookies, cream puffs, eclairs and lemon cake. 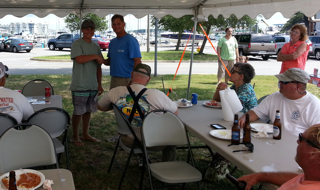 The Club held the 5 Fish Tournament on August 22nd at Vinings Landing Marine Center. 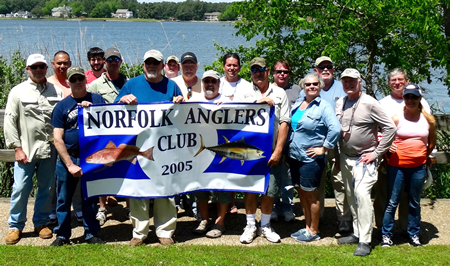 We had more than 20 Anglers participating and battling a North wind at 20-25 knots. 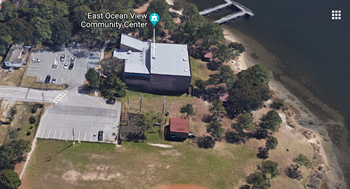 With everyone fishing protected waters of Lynnhaven Inlet, Little Creek, Elizabeth River, and Lafayette River we didn't have any Spadefish or Bluefish brought in. 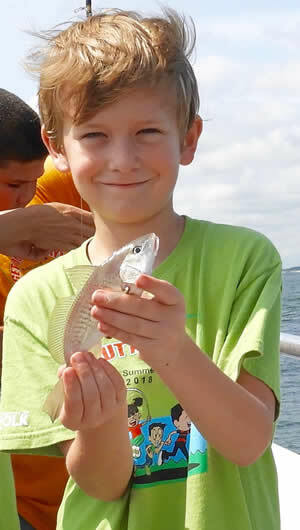 More than 15 Spot, Croaker and Flounder were brought for measure. The first on the Leader Board was young Aiden Wentworth. 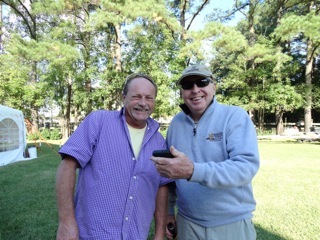 Fishing in Little Creek he brought in a 8 1/4 in Croaker to take an early lead! 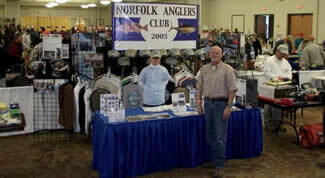 Top honors went to a new NAC member Josh Glaser for bringing in 1st & 2nd place Spot and a 2nd place Croaker. 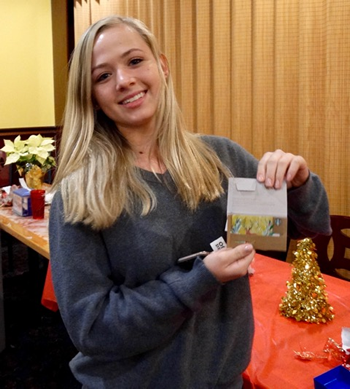 $50 Gift Cards to Boater's Warehouse were given for 1st Place categories and $25 Gift Cards for the 2nd Place finishers. 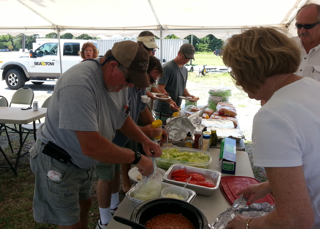 A special THANK YOU for the volunteers who help set up, cook, and serve all the participants. 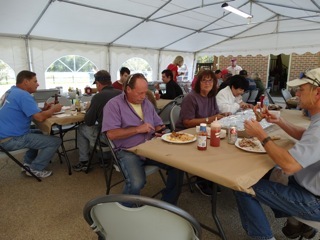 Most of all, THANKS to all the Club members who enjoyed the day with us. Congratulations for our Hunt for Hardheads Fishing Team! 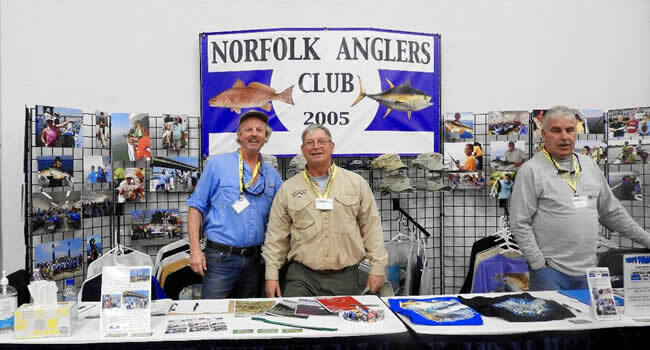 They fished against the other Southside Fishing Clubs scoring points with their Croaker and Bluefish catch placing second for the Norfolk Anglers Club. Well Done! The 2016 Holiday Party was a lot of fun. Thanks to Sea Tow Hampton Roads for providing the beautiful Poinsettias and to Will and Wendy Bransom for setting up/decorating. 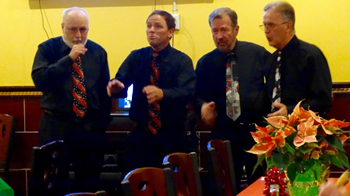 We really enjoyed listening to N’ Tune again this year at the party. Thanks to Kevin Synowiec for bringing in this fun group: Lead: Kevin, Baritone: Lawrence Hiebert, Tenor: Henry Hancock and Bass: Bill Banks. 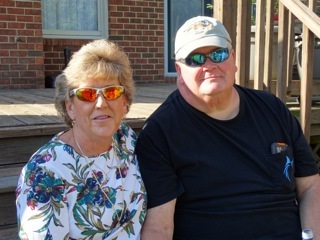 Our party just would not be the same without them! 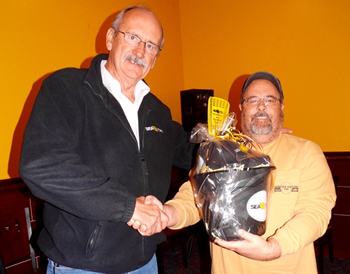 CONGRATS to Bert Sainz for winning the Sea Tow Membership! 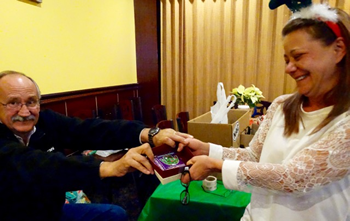 We had a lot of fun with the Chinese gift exchange, check out the grinches in the pictures. 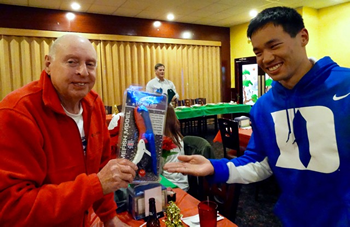 Check out the rest of our pictures from the Holiday Party in the Norfolk Anglers Club January 2017 Wireline, you can download it from this website.